Here are some helpful tips if you are applying for a study permit in Canada. 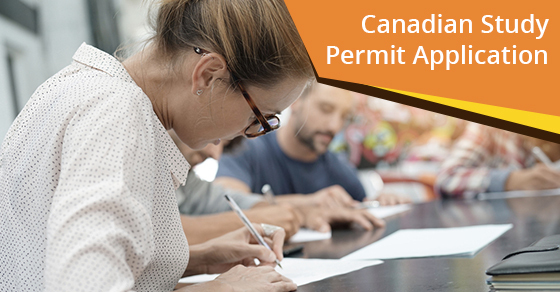 There are only a few cases where you don’t have to apply for a study permit in Canada. For example, if you are coming to Canada to take a course or an exchange program that lasts six months or less, you may not need to apply for a study permit. However, keep in mind that there are instances when you still do need a permit, even though your program is six months or less. This includes those who plan to work on campus or participate in a co-op or internship program. To ensure that your application for a study permit gets accepted, it’s imperative that you meet the requirements as specified on the application. Make sure that you have read it carefully, and seek clarification on any points that you don’t fully understand. Do show that you have been permitted into a school. Keep in mind that there are new rules that permit which types of institutions can qualify. In short, they have to be approved the government. Do your research to ensure that your school or institution qualifies. Do show that you have sufficient funds to cover your tuition and cost of living (and the cost of living for any dependents). Do show that you have sufficient funds to pay the cost of transportation back to your home country (including for your dependents). You can view the CIC guidelines as to how much you need to have here. Do show that you are an upstanding citizen with a clean record. Keep in mind that you may need to undergo a health check to prove that you’re healthy as well. The don’ts for applying for a study permit are essentially the opposite of the do’s. In short, don’t make the mistake of not applying for a permit (again, there are only a few cases where you don’t have to apply). Also, don’t make the mistake of not providing sufficient evidence regarding the permit’s requirements.